I've only really recently started using translucent powders which don't have any pigmentation of colour in them. I hate that dreaded chalky effect that some powders give you, so translucent powders seemed the best way to go. 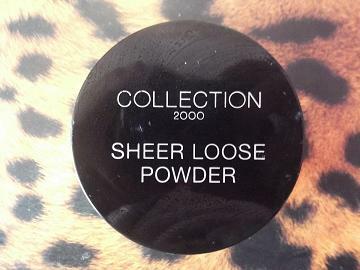 I've now been using this sheer powder by Collection 2000 for a few weeks now and I'm absolutely in love with it. It sets my foundation perfectly and holds all day meaning I don't need to reapply whenever I feel a little oily and shiny. It may be down to the fact that I use a primer base, but even then no other powders have held as long as this does. There is one major downside to this product however; it is undoubtedly the most messiest beauty product I have ever used before, even more than Barry M glitter dust. As you can see from the picture above it looks alot like apple crumble when you open the lid. It goes absolutely everywhere unless you take care when dispensing it onto your applicator, however the good always outweighs the bad! I always place a fair amount on the back of my hand and apply it with a powder brush. 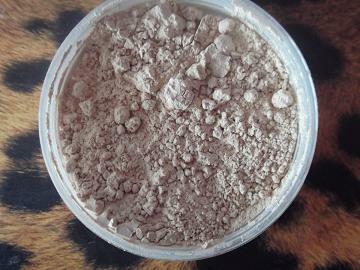 It doesn't collect around the eyes and nose like most powders and it is really lightweight too, making you feel like you haven't got such a heavy look. I'd definitely repurchase this product, I haven't yet found a product that achieves a look better than this. For only £4.19 from Boots, it's a steal too which is an added bonus. 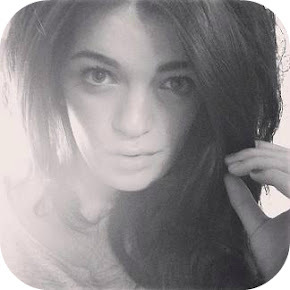 Have you tried any great powders? What would you recommend for combination skin? Let me know!